The company is a manufacturer and designer of fashion accessories and shoes for children, women, and men. It is currently a publicly traded company. It’s also well-known for having a very humble beginning. It was established in 1990 by its namesake and main designer Steven Madden. He started the company with only $1,100. He gained a following and customers by selling his shoes out of his car. Currently, the company boasts of more than 370 stores: 120 of them are in the United States and the other 250 are scattered around the world in 65 countries. It has around 1,000 to 5,000 employees. When it comes to benefits, its employees enjoy discounts, 401(k) plans, paid time off, and vacation leaves. The number of leaves increases every five years. Employees also are entitled to a pair of shoes for free once a year. Its employees love the company, and according to them the company is a relaxing place to be in. They also love the free shoes and employee discounts, which set off the price of company items by as much as 60%. It is important that you are at least 18 years old before you can apply at this company. The company operates the whole week and typically runs from 10AM to 9PM, so you must be available during those times if you want to apply part-time. There are two places where you can work at this company. The first one is in corporate and the second one is in retail. Most of the entry-level positions are in the retail department. Cashier: As a cashier, you will be operating the cash and point-of-sale register. You will also be assisting other employees and customers on the sales floor. You can apply for this position as long as you meet the age requirement. Knowledge of operating a POS is huge plus. Store Manager: Being a manager requires skills in managing employees and dealing with customer complaints. Aside from supervising the staff, you will also help other employees under you. It is crucial for you to have great communication skills to get this job. Receptionist: This is a corporate position. The main tasks of this job are to answer phone calls, usher guests, deal with mail and faxes, and perform any special projects assigned to you. Production Associate: This is a manufacturing and factory job. Your main job is to ensure that the production facility where you will be assigned is operating smoothly. Stock Supervisor: You will be managing the stock/storage room and supervise stock associates. You will also provide help to your team whenever needed. In addition, you will be the one coordinating with other departments when it comes to replenishing your store’s product stock. Sales Associate: You will be the one placed on the sales floor. You will be there to assist customers and help employees with their tasks. You will directly report to the stock supervisor. Stock Associate: This job entails transferring products from storage to the sales floor. It also requires you to keep track of the inventory, so having a keen eye for details is a plus. Store Assistant Manager: You will have a plethora of tasks, which includes store management, employee supervision, customer relations, and storage/sales floor inventory management. Sales Merchandiser: A sales merchandiser is a corporate position. You will primarily deal with financial planning and merchandising. You must have above-average math skills and knowledge in spreadsheets. Housekeeper: As a housekeeper, your main role is to clean the store, office, or factory you will be assigned in. Also, you might be required to work as a secretary or assistant depending on your manager/superivor. Applying at this company requires you to visit the website and go to its career page. At the career page, you can choose between retail or corporate. Once you’ve made your decision, you can just click on the link and you will be redirected to the payroll, tax, and HR services online platform it uses, which is ADP or Automatic Data Processing. You can apply in person, online, or get an employee referral. The online application may take up to one to two weeks up to a month. When you are already at the ADP, all you need to do is find the job that you want. Click on that link and then click the “apply” button. After that, you will be provided with a sign-up box. You will need to create an account and you need to use a LinkedIn, Facebook, Google+, Yahoo, or any email account. Once you’ve created an account, you will need to fill an online form to start the application process. When it comes to your resume, just make sure that you indicate accurate information, especially your contact details, educational background, and references. When you are going for an interview, you will need to dress well and you must be well-groomed. Remember that you are going to apply for a fashion company so you need to be look polished and professional to get the job. The company has a very fast-paced and fun environment. Management is not that strict. There is always room for growth. You can easily rise up the ranks to be a manager. Plus, the company cultivates a “customer first” culture. For a while now, most of the news about the company are about its growth. It is continually expanding, creating, and designing new products. On the other hand, the biggest news about this company happened a few years back. It was about the stock fraud involving Steve Madden. He was sent to prison for 41 months. The company is known for its products, which can be considered mid- to upscale designer apparel. The brand is well-known in the fashion scene. 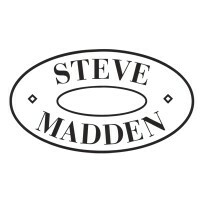 Steve Madden himself is an active philanthropist. The company supports the American Cancer Society, the Doe Fund, and Dress for Success, as well as the New York Blood Center, Sole for Souls, and Big Brothers Big Sisters. 1 How old do you have to be to work at Steve Madden?